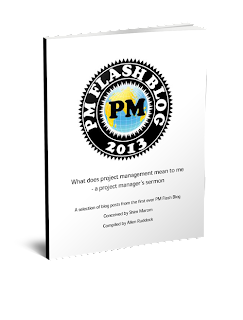 Musings on project management: Who can say yes? In your domain, who can say "Yes" -- and make it stick? If you want a "Yes", up close and personal works much better than remote and mystical. And, you may have to be cunning to work around the "staff" that protects the "yes-sayer" from saying "yes" too often. What does that mean for the remote worker? Could be SOL in many situations because you just can't get access. In fact, if the "staff" ordinarily works with knives, you may want to get one also. One doesn't want to show up at a knife fight with a pop-gun. Hey, best of luck with that "yes thing". I hope it works for you. No plan .... no worry!